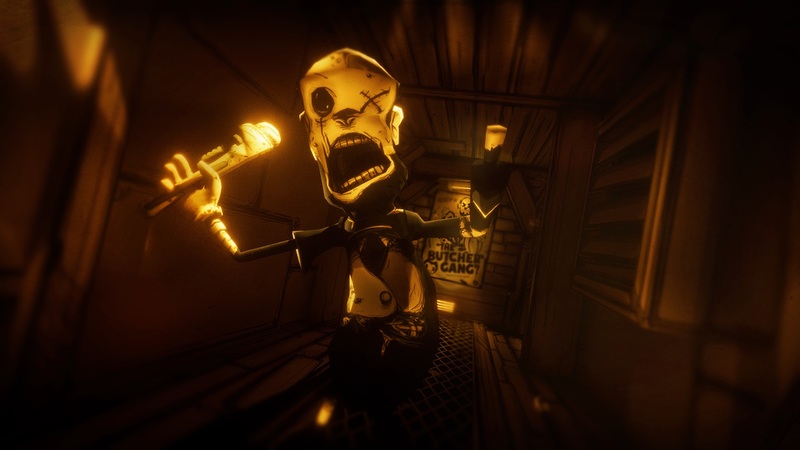 Summary: Bendy and the Ink Machine is an easy recommend to anyone looking for a clever and visually unique little puzzler with some pretty dang fun chase sequences and combat scenarios liberally sprinkled throughout. A weird thing that I’ve noticed over the years is that, despite working in the industry, my children often are more familiar with certain titles long, long before they even pop up on my radar. This may be partially due to being primarily a console gamer and my children’s affinity for watching youtubers play PC games, but regardless of the reason behind it, my children often will have an almost rabid obsession with titles and characters I’ve never seen before. 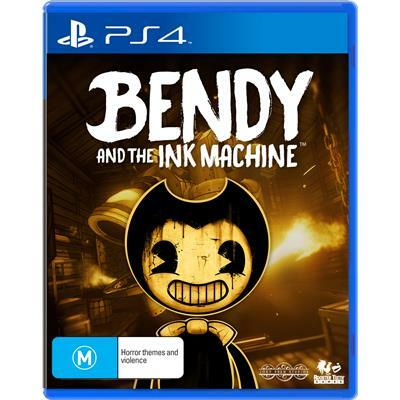 Some prime examples would be Cuphead, Hello Neighbour and, perhaps most notably, this little effort from developers theMeatly Games, Bendy and the Ink Machine. 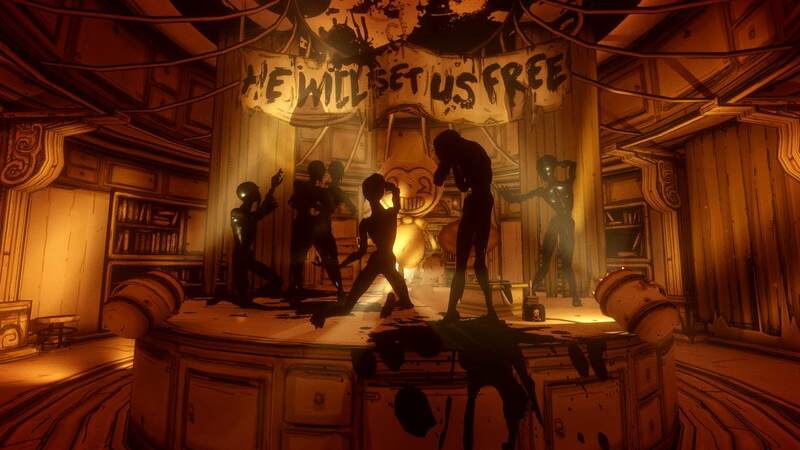 Although it’s only just released on home consoles, Bendy has been available on PC for quite some time now, garnering an ardent community of fans with each new episodic instalment and a whole heap of pop cultural clout through Youtube exposure… To demonstrate how massive the Bendy phenomenon is in my house, literally every single present my son received for his birthday was centred around the series, be it Bendy Funko pops, plush toys of the titular character and Goofy analogue Boris, miniature figurines or even the game itself. 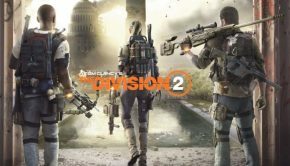 However, despite hearing much about the game over the last few months, I’d never actually looked into picking up a copy for myself, mainly for two reason – The aforementioned preference for consoles and the episodic release model meaning that I’d have to wait for the final instalment to be released, something which I struggle with as I find I lose a lot of momentum in a game if there are protracted breaks in between segments. 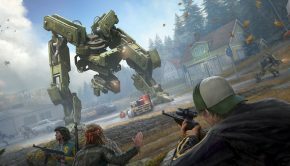 Still, the core concept and twisted cartoonish aesthetic intrigued me, so when the game was announced to be heading to home consoles, I immediately jumped on the chance to review it. 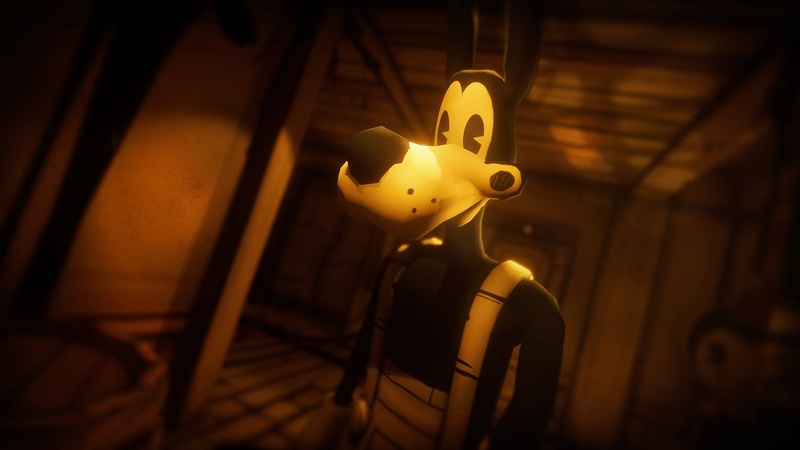 The art direction and character designs are one of Bendy and the Ink Machine’s strongest elements, with the jarring juxtaposition between the twisted situation unfolding before you and the cutesy, Steamboat Willie-like animated characters that prowl the sepia tinted halls of the animation studio serving to create a unique and terrifying atmosphere that will leave you on the edge of your seat. 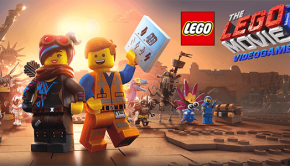 Players take control of Henry, a former employee of the Joey Drew animation studio who has been summoned back to his old workplace after three decades at the behest of his old boss. Everything isn’t as simple as it seems, however, and Henry soon discovers the twisted reason behind why he was called back to the studio – The Ink Machine of the title has been birthing Drew’s animated creations into the real world, with the rather unfortunate side effect of creating warped, grotesque caricatures of Drew’s lovable stable of characters, with each and every one seemingly intent on murdering you. 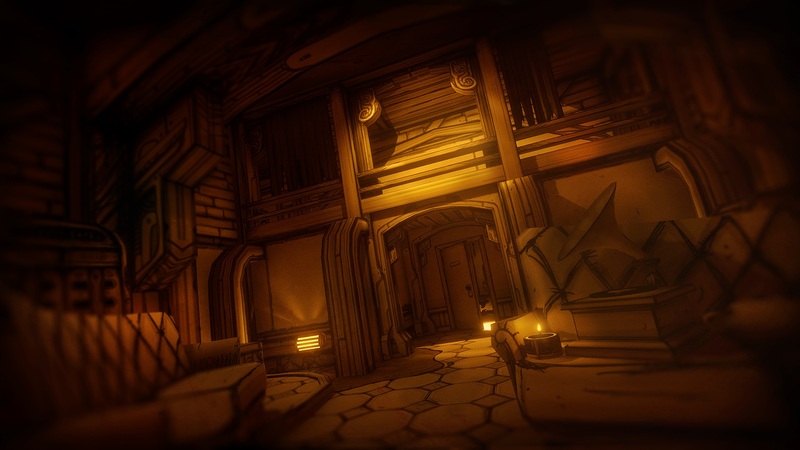 Gamplay-wise, Bendy and the Ink Machine is first and foremost a first-person puzzler. 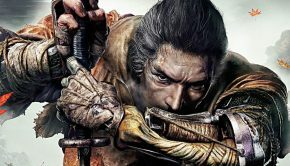 Sure, there are heavy horror elements and intense bursts of action, but you’ll be spending most of your time traipsing through the depths of the studio, collecting items, unlocking paths and doing your best to get to the bottom of whatever is happening. Henry is easy to navigate around the environments and the control scheme takes no time at all to get to grips with. One thing that can be a tad frustrating upon starting the game is trying to work your way around the similar looking rooms and hallways and creating a mental map of where to go; on more than one occasion I found myself running in circles through the maze-like levels, certain that the room I was looking for was just around the corner but constantly finding that I’d somehow taken a wrong turn and was back where I had begun. This issue is mitigated as you go further into the game and the environment becomes a bit more distinct and varied, but I seriously probably added forty minutes to my playthrough just running about aimlessly. 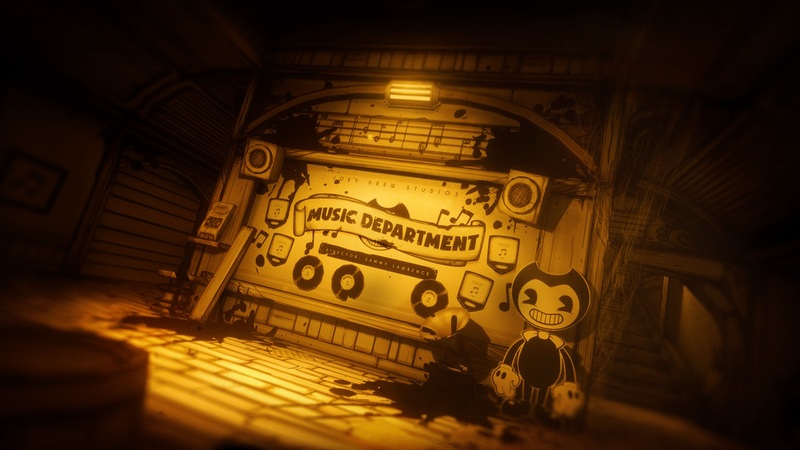 It’s a good thing then that the above is pretty much my only gripe with the game; with fluid controls, intelligently crafted level and puzzle design, fun combat and a visually unique horror aesthetic, it’s easy to see why Bendy and the Ink Machine has developed such a large fanbase over the last year or so. 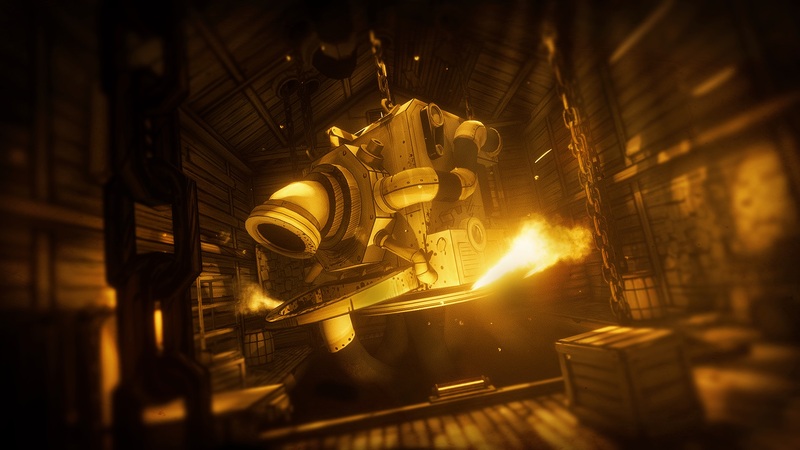 As touched upon above, Bendy and the Ink Machine’s biggest strength is probably its visuals, and thankfully the graphics engine complements the artistic direction. 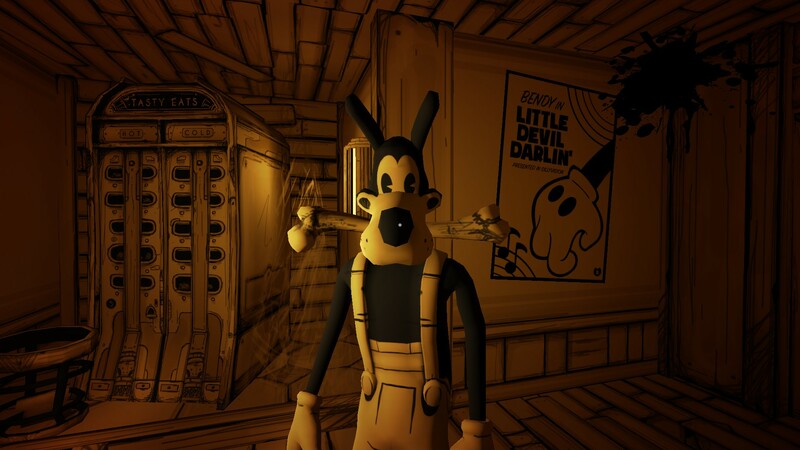 The skewed perspective on old rubber hose animated characters, transplanting them into a grim and twisted horror game, works incredibly well and the muted tones of the environments lends the game an austere quality that never ceases to be unsettling. The cel-shaded graphics also go some way towards alleviating the gruesome nature of some of the events in the game, ensuring that it’s never too dark for a younger audience, which makes up a healthy potion of the game’s fanbase. Audio design is also handled exceptionally well here, keeping you on edge throughout with all manner of auditory manipulations. 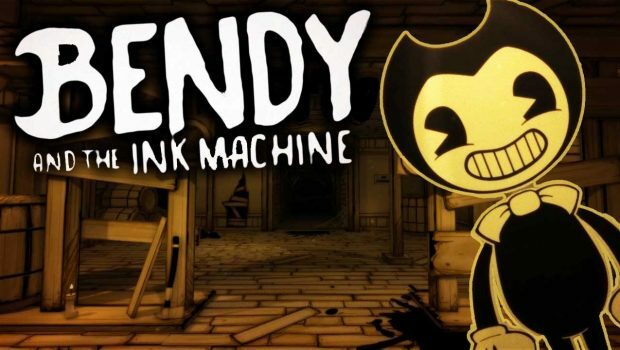 Overall, Bendy and the Ink Machine is a relatively strong game on pretty much all counts, but it is in these two areas where the developers really hit it out of the park. The game is touted as a horror title but feels like it’s aimed at a far more universal audience than that niche genre usually affords, something that is successfully achieved by both the cartoonish aesthetic and absence of any real gore; this is a “horror” game I’d have no problem letting a younger player sink their teeth into. 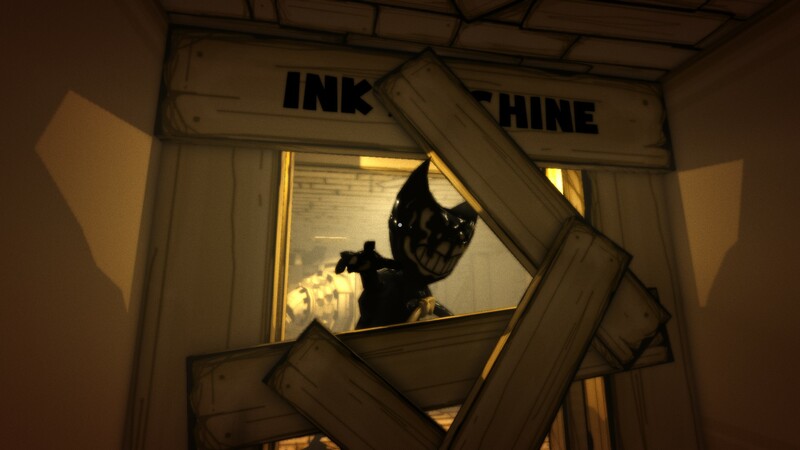 Although a relatively short experience, clocking in at around four hours or so, Bendy and the Ink Machine is an easy recommend to anyone looking for a clever and visually unique little puzzler with some pretty dang fun chase sequences and combat scenarios liberally sprinkled throughout. Game Developer – theMeatly Games, LTD.
Game Publisher – Rooster Teeth Productions, LLC.